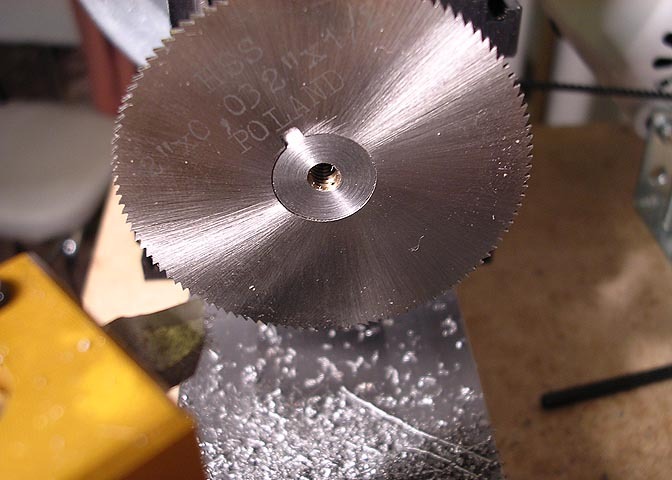 Using the Taig blank arbor for a slitting saw. 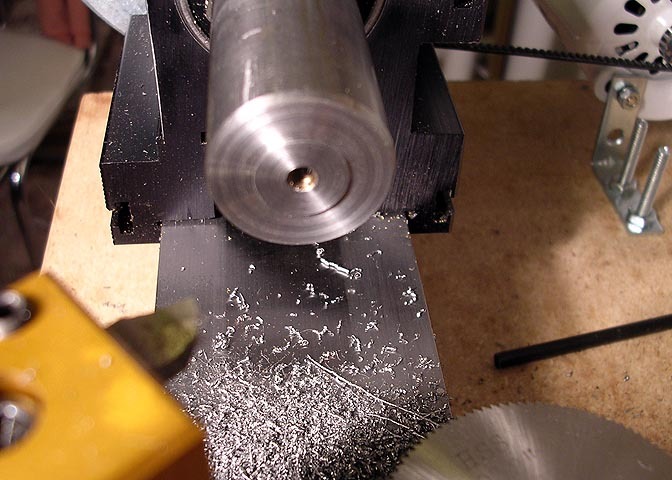 lathe. Get the kind that has the end cap and threaded hold down hole in the end for this project. .750" in diameter, make the mounting stub the same. If the saw is .032" thick, make the stub .030" thick. 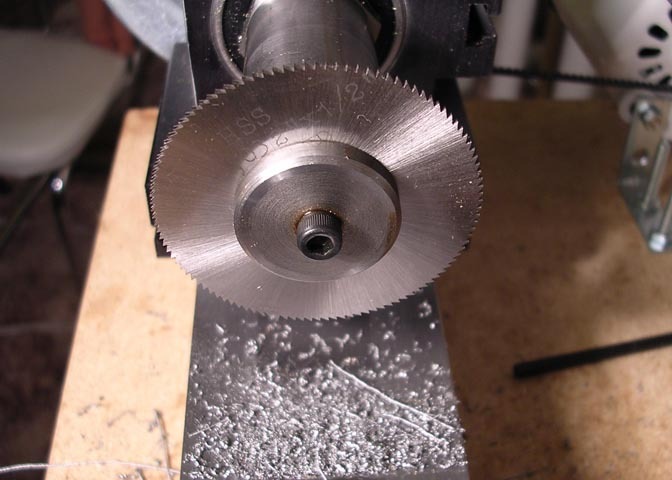 than the saw to prevent it from spinning when you tighten down the cap on the arbor. Should look something like this when you check for fit. Now, that's just too easy a job not to have one of these in your tool chest.